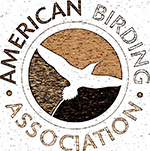 The ABA is a non-profit 501(c)(3) organization that provides leadership to birders by increasing their knowledge, skills, and enjoyment of birding. They are the only organization in North America that specifically caters to recreational birders. They also contribute to bird and bird habitat conservation through their varied programs.